I remember watching this cartoon a while back where Lex Luthor built this super powerful mega intelligent robot to destroy Super Man. As with all super powerful mega intelligent robots, the machine became sentient. Lex could no longer control it, so to get it out of the way; he sent it to the other side of the galaxy. But, the robot fought its way back from the edge of space and headed straight for Earth. Being a man of means, Lex, persuaded all the Earths space agencies to confront the machine. Lex even talked the Justice League into helping protect him from the Robot. 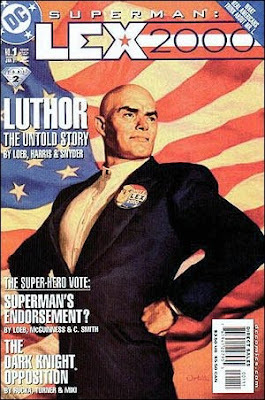 After all, he argued, the Justice League had pledged to protect all humanity (even Lex.) But nothing could stop the robot. The machine smashed all the defenses Earth could muster. Even the Super Heroes themselves were no match for this juggernaut.